When Cat of The Verdant Life suggested that we start a food swap with other vegan food bloggers across the country, I jumped right on that opportunity. I had watched other bloggers in the past participate in these types of projects and it seemed like a lot of fun. I sent a box to Karen of Seattle Veg Coach but failed to take a picture of any of the contents, so I will have to let her show you over on her blog. 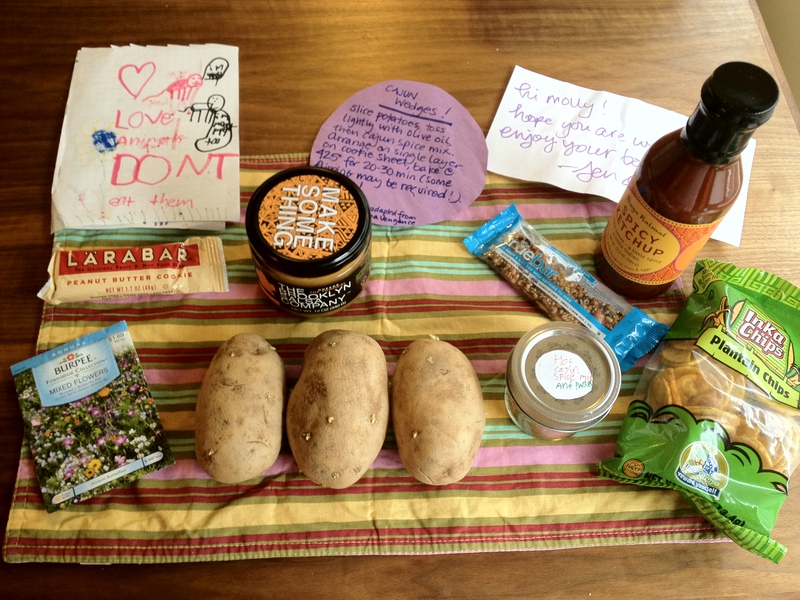 I received a box from Jen (and her 7 year old son Otis) from the Suburban Vegan Meal Group blog. The box was full of all kinds of goodies, from Sweet and Sara marshmallows, to homemade cookies to the fixings for cajun potato wedges, right down to the potatoes! The box also included salsa from Brooklyn Salsa Company, spicy ketchup, plantain chips, a peanut butter cookie Larabar, a True Bar, and flower seeds. The contents of the box (minus the cookies). She also baked homemade cookies, which unfortunately had become a little smaller during the journey, but were no less delicious. 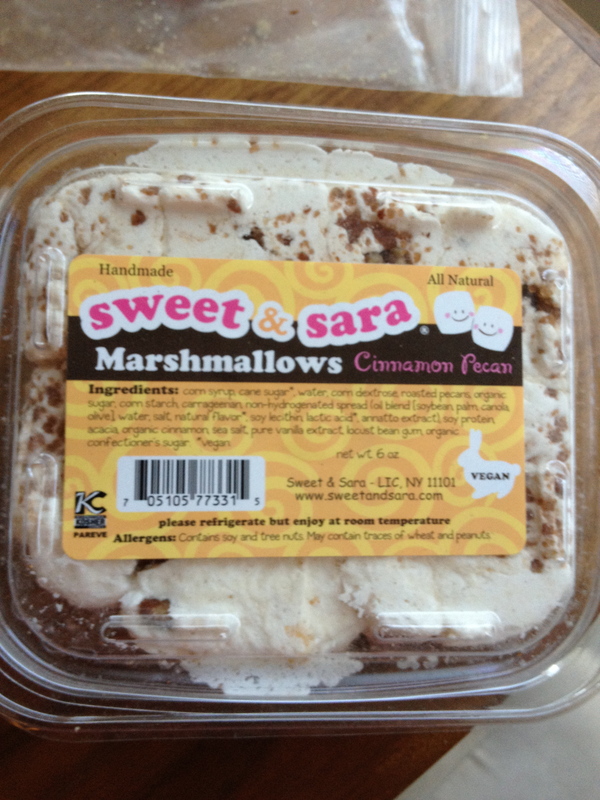 Cinnamon pecan marshmallows from Sweet and Sara were the one flavor that I hadn’t tried yet (and I may or may not have grabbed a fork to dig in before I had actually unpacked the rest of the box. I am neither confirming nor denying such a thing). 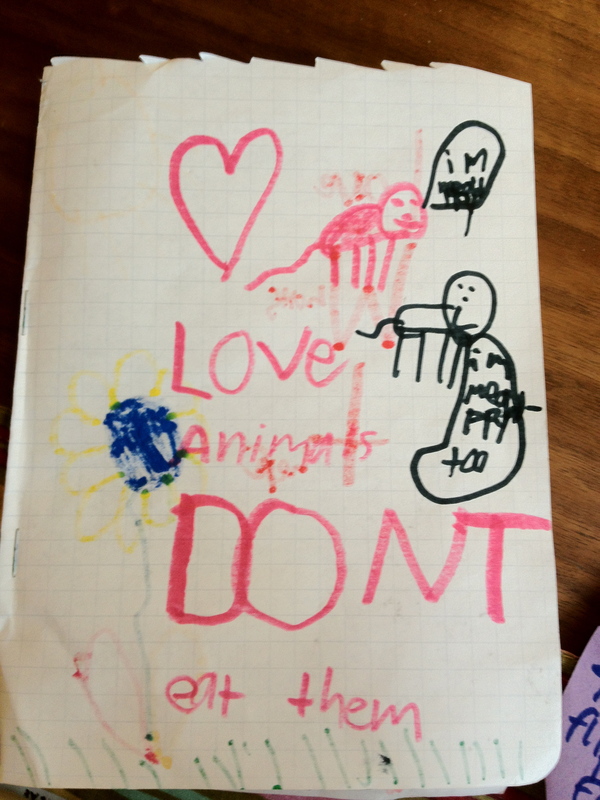 The best part had to be the artwork drawn by Otis. The next generation of activists at work! 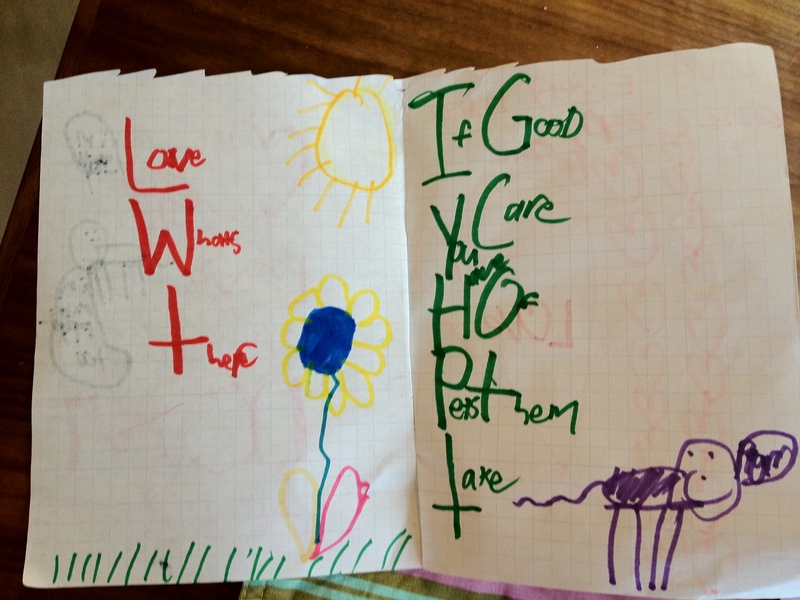 Front cover of the card. Thanks Jen and Otis, I love my box! 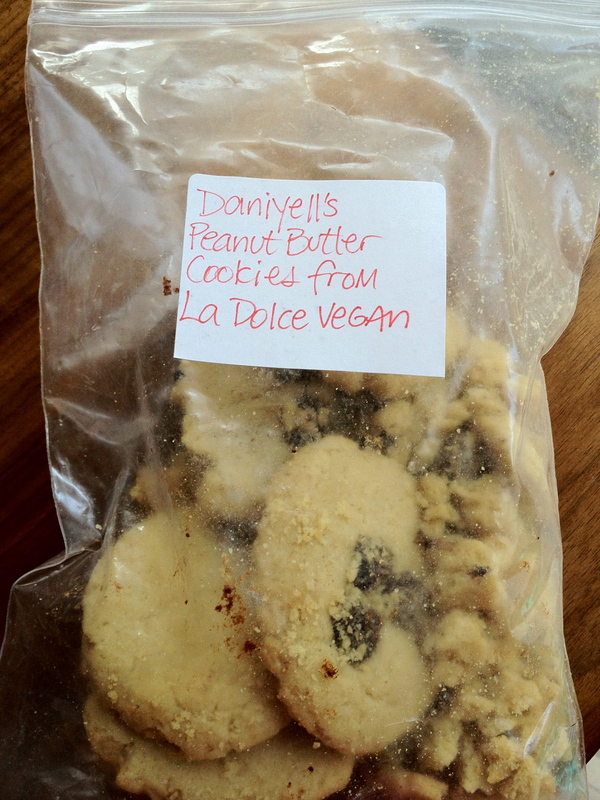 To see what others participating in this project received, head over to the Vegan Swap Reveal post at The Verdant Life. Do you want to participate in May’s swap? Head over to the sign up page and join us!